Studies have started to recognize the link between art and well-being. Over centuries, people from all walks of life have pursued creative stimulation. Be it singing, writing, dancing or painting, there lies a distinctive type of fulfillment and satisfaction while using these modes to express yourself. 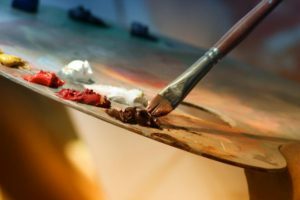 Scientific research has often studied the link between creativity and health benefits, with artistic activities said to enhance emotional well-being regardless of skill level. 1. Writing helps your mind cope and recover. 2. Singing boosts the immune system. 3. Dancing is a fun path towards fitness. 4. Painting, drawings and sculptures are tools to help fight anxiety. 5. Playing an instruments makes you a starter.